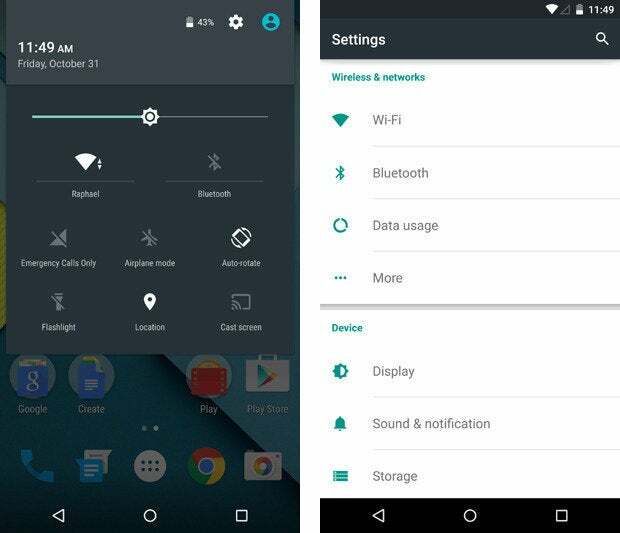 The Nexus 6 is big, beautiful, and full of sweet Android Lollipop flavor. Here's an early hands-on look at Google's new flagship phone. That's the question that immediately comes to mind when you pick up Google's new Nexus 6 -- the company's latest "pure Google" flagship and the first phone to ship with the shiny new Android 5.0 Lollipop software. The Nexus 6 is a bit different than past Nexus phones in that, well, it's huge. Compared to the Nexus 5 or any other Nexus before it, this thing is a beast. So is bigger really better? I'm honestly not sure. But it certainly has its benefits. And for some people -- those with extraordinarily spacious pockets, I presume -- it might be just what the doctor ordered. You knew this was coming, right? 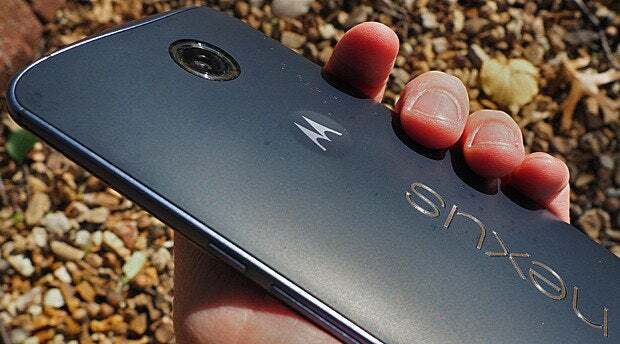 It may seem obvious, but it's without a doubt the first quality you notice about the Nexus 6. You can't avoid it: At 6.3 x 3.3 x 0.4 in., the gadget looks like more of a small tablet than a large phone. But big is the new small -- or so they say. Though the Nexus 6 outmeasures the also-plus-sized Galaxy Note 4 -- by about a third of an inch in length and a little less than that in width, thanks to its 5% larger screen -- it's very much in the same general league. 2. The style and design. 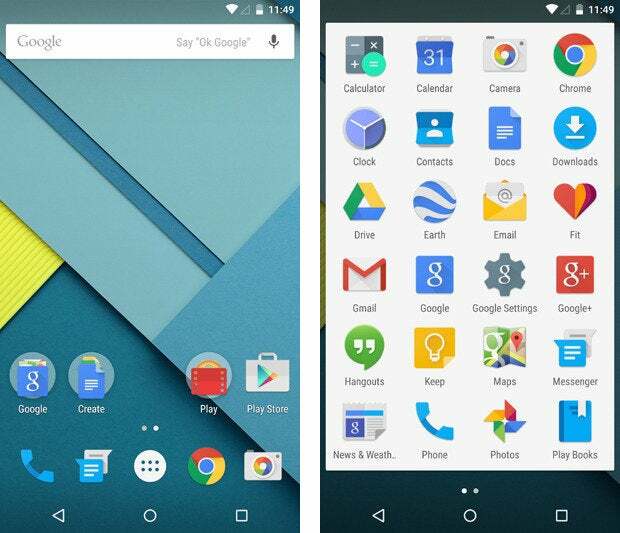 Think the Nexus 6 looks familiar? It should: On the outside, at least, it's basically a scaled-up version of the 2014 Moto X -- with a few minor modifications. 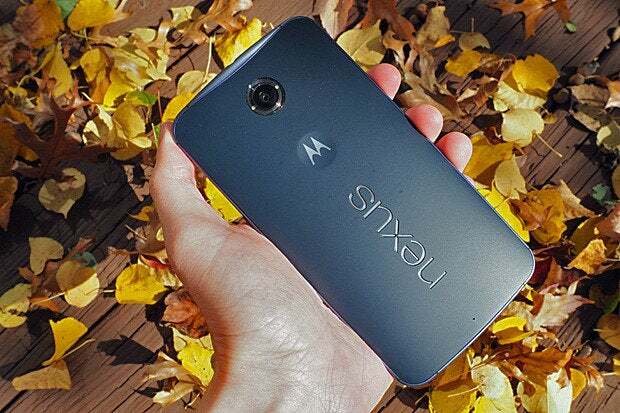 The new Nexus maintains the Moto X's overall look and feel, from the gently curved back to the aluminum frame. It even has the trademark Motorola dimple on the back, though a far less prominent one than what's on the 2014 Moto X (it's actually more like the smooth and subtle dimple from last year's Moto X phone). The device comes in soft-touch plastic only, however -- just two color choices, and no leather or wood options. The super-Nexus is surprisingly comfortable to hold, relative to the plus-sized class; its curved back makes it feel more natural in the hand than the flat and boxy Note 4, though it's certainly not the kind of device you could use single-handedly. 3. That sweet, sweet Lollipop software. The Nexus 6's size and style may grab you right off the bat, but there's little question the software is the real star of this show. Like the new Nexus 9 tablet, the Nexus 6 runs an unmodified version of Google's soon-to-launch Lollipop-level OS -- Google-charged Android in its purest form, just the way the company designed and envisions it. As I mused in my first impressions of the Nexus 9, Lollipop is truly a treat. With Google's new Material Design motif in place, the operating system feels fresh, modern, and comfortable -- like a familiar home that's been thoroughly but tastefully renovated. Basic appearances aside, a series of slick new transitions and animations all throughout the system help make it feel more polished and cohesive than ever. 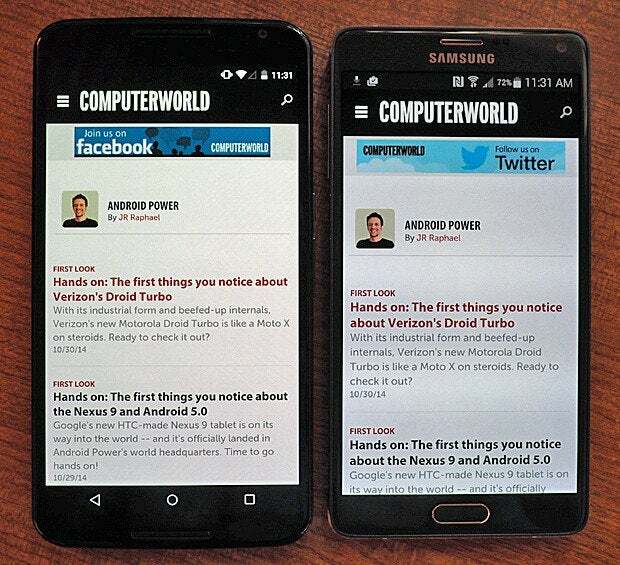 This is a new beginning for Android, no doubt -- and an exciting one, at that. I'll be taking a much closer look at Lollipop -- including both the user interface and the software's many new features and security enhancements -- in the days ahead. And I'll be living with the Nexus 6 for a while in order to get a complete picture of what it's actually like to use in the real world. From the phone's form to its performance, battery life, and camera, there's a heck of a lot to think about here. Rest assured: We'll get to all of it in depth and in real-world terms soon. These next couple of weeks are gonna be crazy, compadres. Strap yourselves in and hang on for the ride. Nexus 6 vs. Galaxy Note 4: Smartphone camera shootout!